We need to look to see what’s coming in the future that was beyond our earthly beginnings, especially at this time of the year; and, what our eternal life will be like beyond our brief time here on earth. One day soon, we the Earthly Saints of the Lord, will join Him in Heaven. If we are obedient to Him, Scripture tells us that we will be Heirs to God’s Kingdom, and will Rule and Reign with Him over His Creation. When we join the Lord, our lives will become as we have never known. We will live on a New Earth where there will be no more tears or crying. None of us will ever suffer again. Our bodies will be perfect…clothed with immortality. We will see and know as never before. All of our senses will function at levels we’ve never known. We will have sharp minds, strong bodies, clear purpose, and unabated joy. We will live in beautifully landscaped homes. There will be oceans, lakes to go fishing and boating in, tall majestic mountains, forest and deserts…All of the above and more will be perfection beyond anything we have ever witnessed. 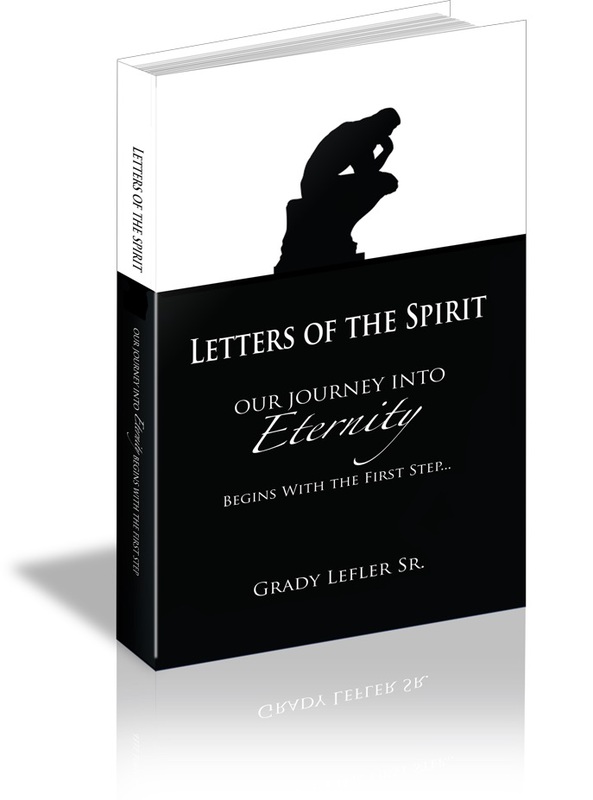 For More “Letters of the Spirit”, check out our website. I would like to share with you some words that have meaning and support each other… which gives you time for thought… I’m speaking of Faith. Faith sees the truth beyond fact. Faith in God is essential to possess. We would be Lost without it. if you don’t study and speak the Word. It’s about being ok no matter how things turn out. We have now crossed into a new season. How do we stand in these times we are in? We are witnessing shocking things that were unheard of five years ago and earlier. It seems that People have gone into a moral nosedive. With what just happened in Paris and San Bernardino, the world will never be the same. For those who don’t know, the times in which we are living are as in the days of Noah, where right was wrong and wrong was right, and people walked after their own flesh and served their own interest. They gave themselves over to sexual fornication and “strange flesh”. We are now in those days and the coming of the Lord is at hand. As Christians, we are covered by the Word of God and live in the shadow of the Almighty. We will soon leave the battleground of this world and live under the covering of the presence of God’s Love. This will be a forever event. If you are a Christian, become stronger in the Lord. If you don’t know the Lord, get to know Him and become stronger and survive. Letter 201 – Have You Staked Your Positive Claim? Each day when we start out, we should claim it to be a positive and victorious day. That kind of day is out there if we will just grab on to it. We need this kind of day to remain healthy and alive. We are directed by what comes out of our mouths…the course our life will follow. Choose your words wisely. It takes a positive attitude to whip all of the negatives out there waiting to destroy us. How do we achieve the treasure of having a life that God created us to have? We face life with reality, realizing its short comings, and then applying common horse sense wisdom. We have to look at things in a positive light that will get us to the good times. We have to wear the Armor of God and put forth the Shield of Faith which protects us from Satan, who is trying to steal, kill, and destroy us. The key to opening a good day is to turn all things over to the Lord who will get us through and past the mine fields lurking out there, that will try to demolish us. We are vulnerable; however, with the power and strength of the Lord, nothing can stop us. HAVE YOU STAKED YOUR POSITIVE CLAIM?